Do you ever come across a scent that you just click with? One that you realise is the scent you've been lusting after but haven't found yet? I've always thought that I'm 'not a perfume kinda gal'. I never went through the phase of buying celebrity endorsed perfumes as a teen, and I've *shock horror* never owned anything made by Marc Jacobs. But, I've actually amassed quite a nice little collection of budget scents and body mists that make me feel a whole lot more feminine than I do without them. A few months ago I had my first dreamy 'must-buy' situation with a perfume. The design was beautiful, the scent was sweet and refreshing, and I had to have it. The packaging reminds me of the minimalist packing of Jo Malone, but at a much much more achievable price for me. 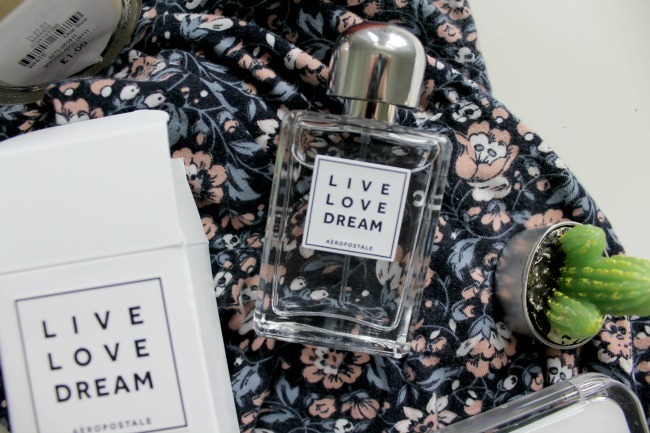 In case you haven't guessed, the scent is 'Live Love Dream', and it's made by Aeropostale. It smells fruity and sweet without being childish, and honestly gives of a waft akin to the one you smell when stepping into a Hollister. 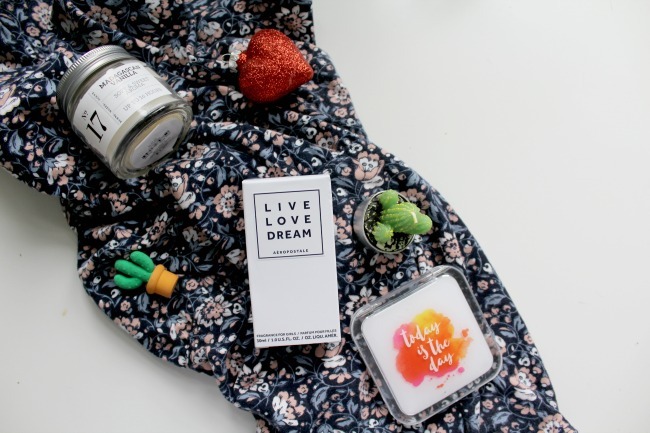 After the heat wave last week, I'm even more keen to use fresh scents that keep me feeling like my presence doesn't come with the nasty tangy odour of sweat, and this has been perfect. This is definitely my go-to scent for the summer, and it'll be the one that gets popped into my bag when I have a long day ahead. What's your favourite scent at the moment? I love fruity and sweet scents so I'll have to try this one!